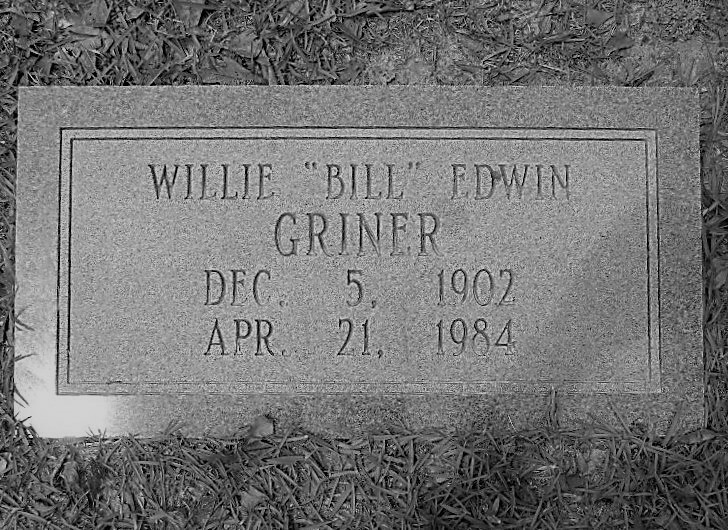 Grave marker of D. Edwin Griner (June 21, 1870 – March 12, 1942), New Ramah Cemetery, Ray City, Berrien County, Georgia. In the 1930’s D. Edwin Griner was a miller working at a grist mill in Ray City, GA. He and his wife, Sarah “Sallie” Rouse grew up in Berrien County, GA and lived for many years in and around Ray City. They are buried at New Ramah Cemetery, Ray City, Berrien County, GA, although their grave markers have become almost illegible. The cemetery at New Ramah is well tended these days, although the New Ramah Primitive Baptist Church was torn down last year. 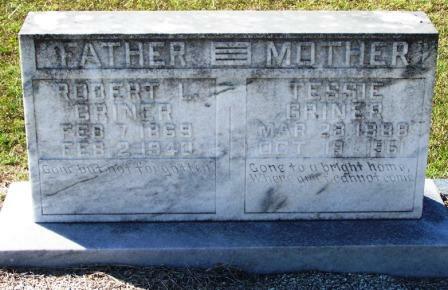 The concrete markers of Edwin and Sallie Griner have not suffered from neglect, just from the wear of time. Concrete is less durable than granite: Memory less durable than concrete. D. Edwin Griner was born June 21, 1870 in Berrien County, GA, a scion of the earliest pioneer families of Georgia and of Berrien County. He was the eldest son of Sallie Gaskins and Samuel Griner. His father was Samuel Jackson Griner (1848-1909). He was descended from the Greiner family who came to Georgia with the Salzberger immigration. Edwin’s Great Grandfather, Captain John Griner fought in the Revolutionary War. His mother, Sarah C. “Sallie” Gaskins, was the daughter of Harmon and Malissa Gaskins, early settlers of Berrien County. Her father fought in the Battle of Brushy Creek, the last real engagement with the Indians in this region. Although the grave marker of D. Edwin Griner bears the birthdate of June 21, 1870, he is not recorded in his parents household in the Census of 1870, since the census that year only enumerated “the name of each Person whose place of abode, on 1st day of June, 1870, was in this family.” At the time of his birth, Edwin’s parents were living in the 1148th Georgia Militia District, and posting their mail in Nashville, GA.
Edwin’s father, Samuel J. Griner, worked as a farmer, although at 21 years of age he did not yet have any land of his own – he had $284 in his personal estate. Perhaps he was working the land owned by one of his many Gaskins in-laws who lived nearby. On October 22, 1894 D. Edwin Griner married Sarah “Sallie” Rouse in Berrien County, GA. She was the daughter of Robert and Kizzia Rouse. The couple made their home in the 1144th Georgia Militia District, the Rays Mill District where the census of 1900 shows they owned a farm near Sallie’s parents and others of the family connection. 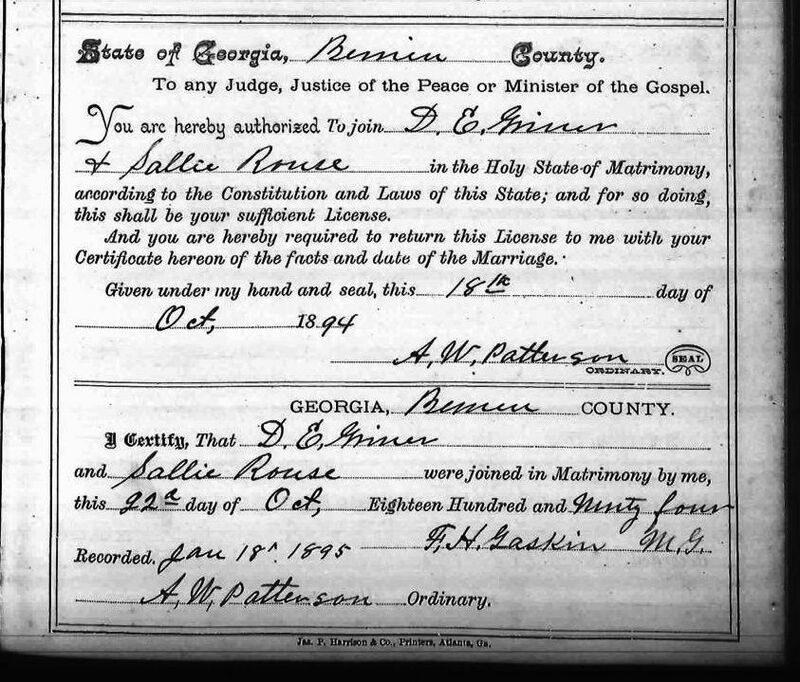 D. Edwin Griner and Sallie Rouse were married October 22, 1894 in Berrien County, GA. In 1910, Edwin and Sarah Griner were enumerated by census taker Redding D. Swindle there in the 1144th Georgia Militia District, the Rays Mill District, along with son William, and daughter Sarah V. The Griners owned a farm, free and clear of mortgage, where Edwin was farming on his own account. Sarah’s family was farming in the same neighborhood. Her brother, Joseph Rouse, was working the farm next door, and also in Joseph’s household was her widowed mother, Kizzie N. Rouse. Nearby, was the farm of another brother, Alfred Rouse. Some time prior to 1920 D. Edwin Griner moved his family to Clinch County, GA where he owned a farm on the Stockton Road in the Mud Creek District. Edwin and son, Willie, did the farming while his Sarah and daughter, Sarah V., kept house. By 1930, the Griners had moved back to Ray City, Berrien County, GA. They had a house in town valued at $700. The household included Edwin, Sarah, and their son, William, who had lost his wife. 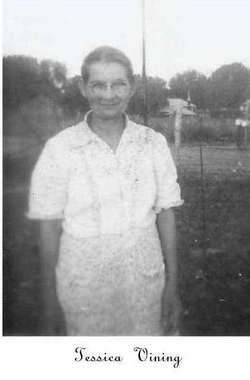 Thelma Sirmans and her boys were renting the place next door, and the blacksmith, Henry Woodard, was another neighbor. Edwin worked as a miller, a wage employee at a local grist mill. 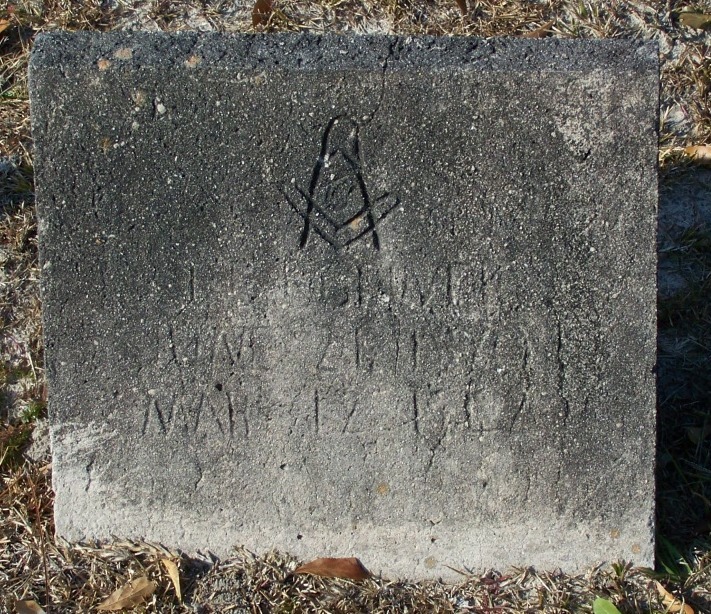 His gravemarker shows that he was also a Mason, perhaps a member of the Ray City lodge No. 553, or one of the other local lodges. D. Edwin Griner died March 12, 1942. 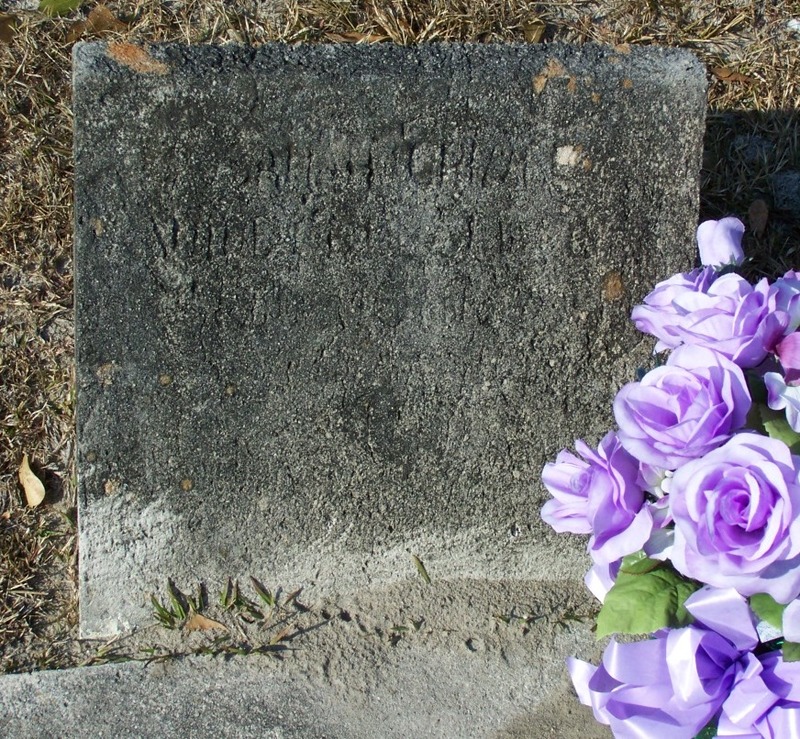 He was buried at New Ramah Cemetery on Park Street, Ray City, GA. At his side rests Sarah “Sallie” Rouse Griner. 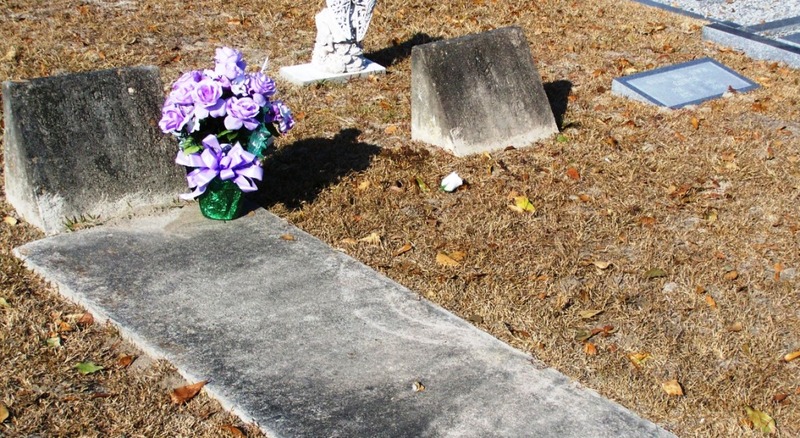 No date of death is discernible on the concrete headstone marking her grave, but her obituary gives her date of death as January 29, 1951. Griner graves at New Ramah Cemetery, Ray City, Berrien County, GA. Left: Sarah “Sallie” Rouse Griner. Middle: D. E. Griner. Right: Willie “Bill” Edwin Griner.